Providing an extensive range of premium quality, German engineered basket grille, compact axial and backward curve fans to the Australian market, ebm-papst is the global leader in high efficiency EC technology. Markair is proud to share its commitment to significantly reducing the impact of HVAC systems on the environment through advanced technology. 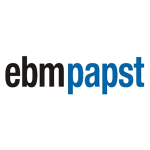 We can supply the complete range of OEM replacement ebm-papst products. We are also capable of working with our clients to retrofit high efficiency EC products to aging systems and with new installs.